Bowls la marina. 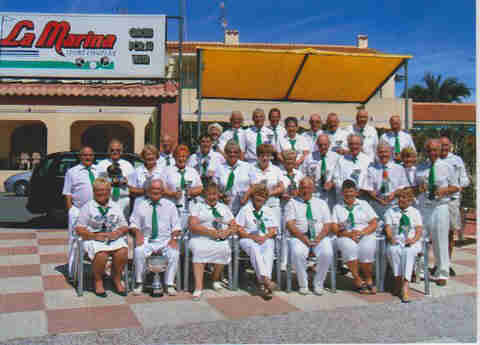 La Marina Bowling Club Sports complex, Calle Berna, Urb La Marina,San Fulgencio 03177, Alicante. La Marina Urbanisation Bowling Club. For Further Information About La Marina Bowls Club. The complex contains a large pool, and pizzeria. La Marina Pool Sports Centre. 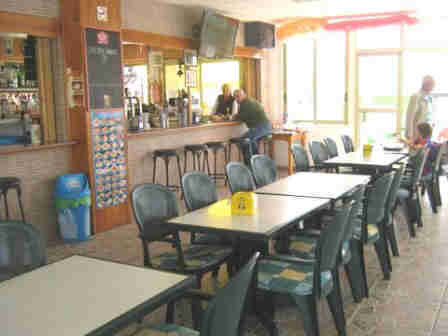 La Marina Bowling Club, La Marina. Just some of the many Bowlers here at La Marina. The main Full membership of the club is termed Blue Chip, which means the annual fee, payable by the end of August each year, is 190 euros. These members can play at any time with no green fees. Visitors 6 Euros Per session. At present we have approx 100 members, with at least 80% of our members being Blue Chip. For information about joining our club ring Margaret Maclaughlin 96 679 0679 the Membership Secretary. Directions to La Marina Urbanisation Bowling Club. Directions to get here are as follows: using the main N332 highway, whether driving north from Torrevieja or south from Alicante, take the exit marked “Urbanisation La Marina”. (Do not take the exit marked “La Marina” which is the exit before the one you want as that will take you to the village of La Marina). After passing the B.P. petrol station on your left, continue on the same twisting road for approx 1 mile until you get to the Police Station on your left. Turn left there, and 200 metres up that road you will reach a circle with a chemists on the right hand corner. Go round to the other side of the circle and the Sports Complex is on the right. MINI GOLF Now operating adjacent to Bowls green. 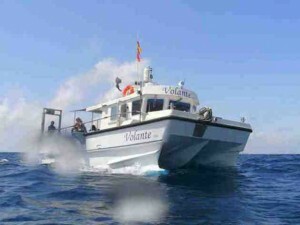 Fishing Trips, Snorkeling, Fun Days & Private Charter Torrevieja Costa Blanca. Sea fishing trips to suit your needs from Torrevieja. This years season 2016 is due to start towards the end of April. We are now starting to take bookings. Use the CONTACT BOX on the left. 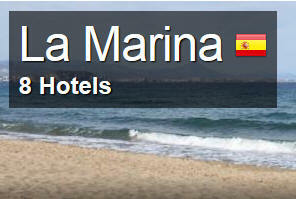 Places you can book into locally in La Marina for your next stay. 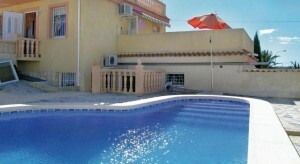 La Marina Offering an outdoor pool, Holiday home Las Pirineos is located in La Marina.Ideal for bowls la marina. 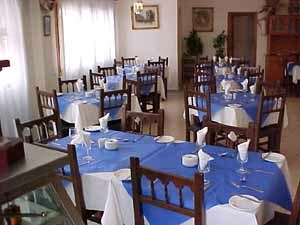 CLICK ABOVE 4 Local Hotel plus a selection of La Marina property to rent. 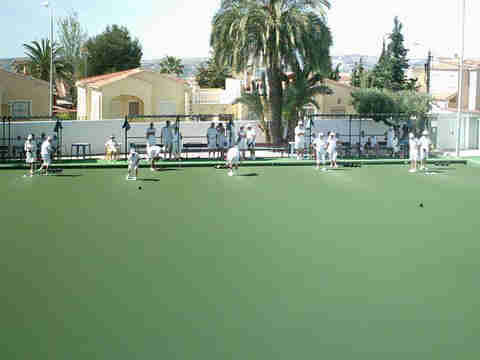 SPAIN INFO, bowls la marina. La Marina Bowling Club Sports Complex, Urb La Marina. bowls la marina.